The Independent National Electoral Commission (INEC) on Thursday presented certificates of return to senators-elect, Premium Times reports. 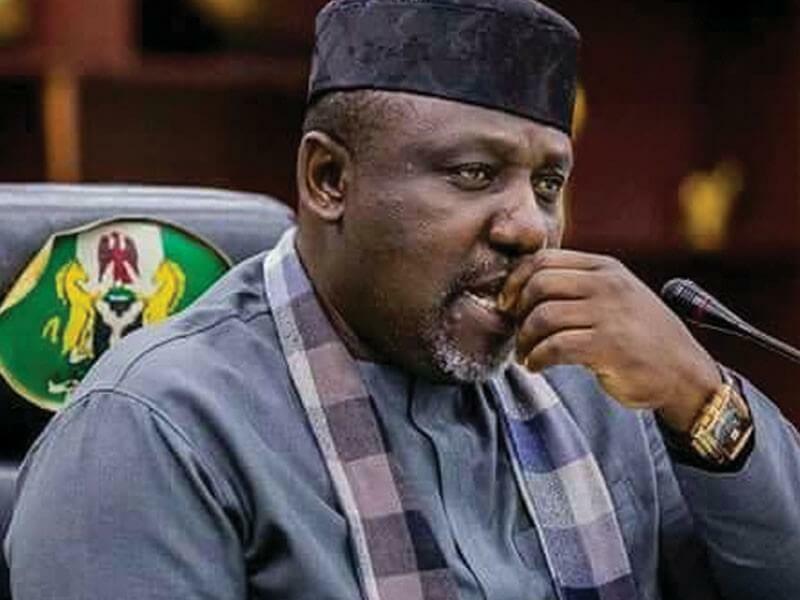 Conspicuously absent at the ceremony was the outgoing Imo State Governor, Rochas Okorocha, whose election as a senator is being reviewed by INEC. PREMIUM TIMES reported how Mr Okorocha was declared the winner of the Imo West senatorial election. The presiding officer, however, said he was forced to make the declaration under duress. It is based on that that the electoral commission removed Mr Okorocha’s name from the elected senators’ list and said it is reviewing the situation in the district. The presentation of certificates to the 100 other senators-elect was held at the International Conference Center (ICC) in Abuja. The national chairman of INEC, Mahmood Yakubu, congratulated the elected senators in his opening speech. He said INEC looks forward to working with the new senators for the good of the nation. The new senators were elected by millions of Nigerians on February 23. Elections declared inconclusive then were concluded on March 9. Of the 100 senators whose elections have been confirmed by INEC, winners emerged from the ruling All Progressives Congress (APC), the main opposition, Peoples Democratic Party (PDP), and the Young Progressives Party (YPP). The APC won 62, the PDP secured 37 seats, leaving the last one to the YPP. Also, of the 100 senatorial seats declared so far, six are to be occupied by women. They are; three new senators (Aisha Dahiru, Adamawa Central; Akon Eyakenyi, Akwa Ibom South; and Uche Ekwunife, Anambra Central) and three returning lawmakers (Oluremi Tinubu of Lagos West, Rose Oko of Cross River North and Stella Oduah of Anambra North). In his speech, Mr Yakubu urged the senators-elect to begin work early on a new electoral framework. “I want to appeal to the senators-elect to please start work early and conclude the electoral framework well ahead of the 2023 election,” the professor said. Mr Yakubu said INEC would start its post-election review and road map for 2023 immediately. Amendments to the current electoral act were rejected by President Muhammadu Buhari who said it was done too close to the general elections. Mr Yakubu said the tendency to delay until it is too close to the election means that vital lessons learnt from previous elections are lost before the next election. He also said these leaves the commission with little time to do its job. “On behalf of INEC, I want to welcome you all to the formal presentation of certificate of return to senators-elect,” he said.